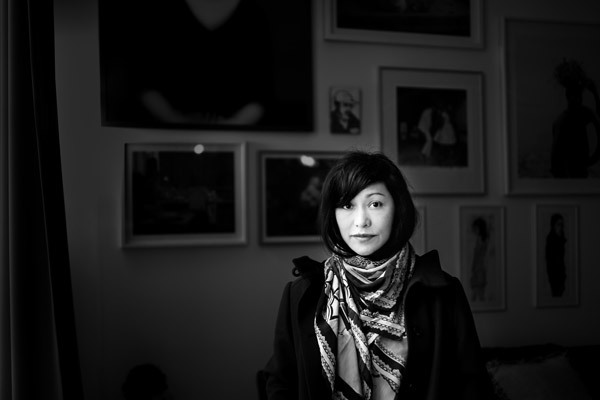 How the Lima-born Austrian Kozva Rigaud changed from being a professional dancer to the agency owner of Shotview and how she finds new talented photographers: read more in our new interview. 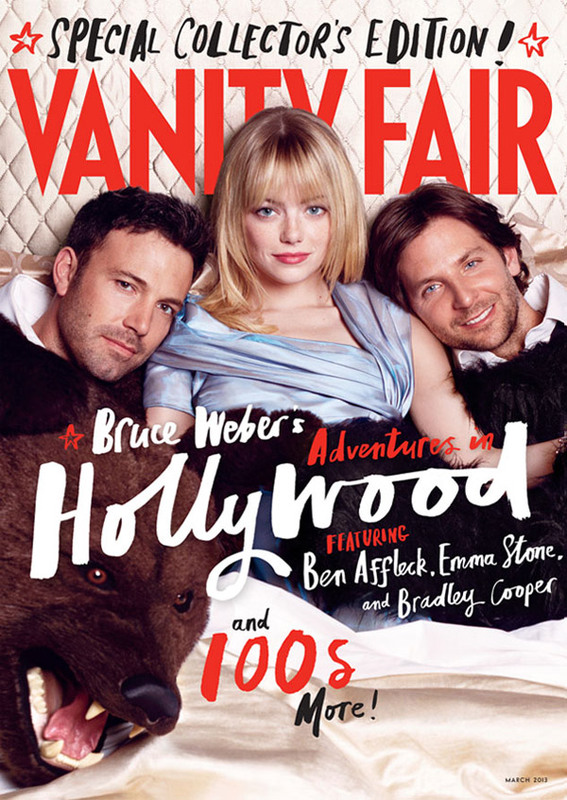 Zaiya Latt c/o Bryan Bantry Agency styled the hair for the annual Hollywood Issue of Vanity Fair. Photography by Bruce Weber. Seen as a really high-level profile brand, Andres Sarda is one of the most creative swimwear and lingerie companies to have been founded in Spain. The campaign takes its inspiration from nature for a wild but sophisticated woman. Photographer: Sergi Pons c/o Close Up Milano, Model: Bredge c/o Uno Bcn Models, Makeup & Hair: Victor Alvarez, Stylist: Miriam Arruga, Art Direction: Mirja Jacobs & Sergi Pons, Set Designer: Biel Escamez, Production: Motifmanagement. 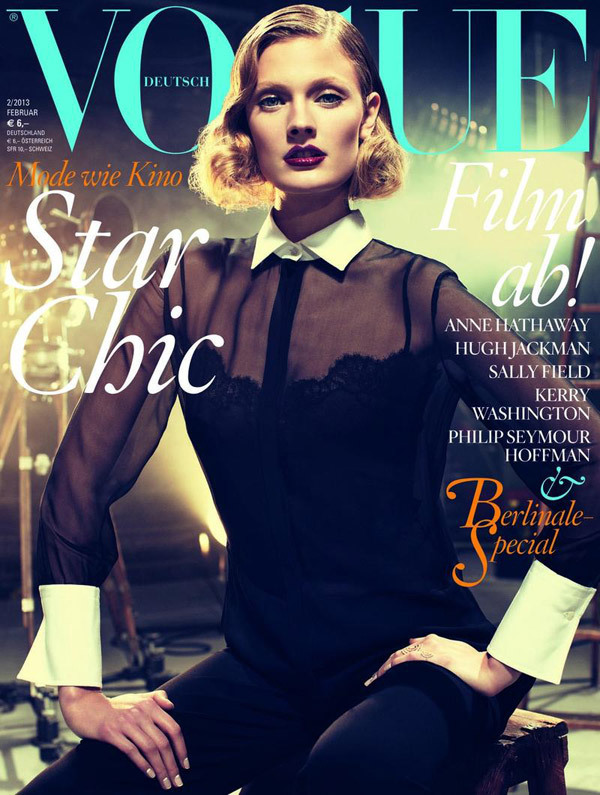 Constance Jablonski graces the cover of the February 2013 issue of German Vogue. Photographed by Alexi Lubomirski, Hair by Neil Moodie, Makeup by Tyron Machhausen c/o Ballsaal. The Guess by Marciano spring campaign gives us female curves and tanned skin with models Leticia Zuloaga and Nadine Wolfbeisser posing against a setting of columns and statues. Models: Letizia Zuloaga c/o Traffic, Nadine Wolbeisser c/o Sight Management, Styling: Martina Nilsson, Fashion Assistant: Wyman Chang, Hair: Paco Garrigues Makeup: Jordi Fontanals, Manicurist: Debbie Leavitt, 1st Photo Assistant: Axel Heumisch, 2nd Photo Assistant: Alex De La Hidalga, Digital Assistant: Russ (Royal Capture), Red Epic Operator: Salvador Lleo, Editor & Colorist: Alvaro Robles, Shot on Red Epic Cam. Nimue Smit shot by Jan Welters c/o Open Space Paris for the March issue of Dutch Vogue. Fashion Editor: Jos Van Heel, Hair: Tomohiro Ohashi, Makeup: Jurgen Braun, Nails: Christina Conrad. 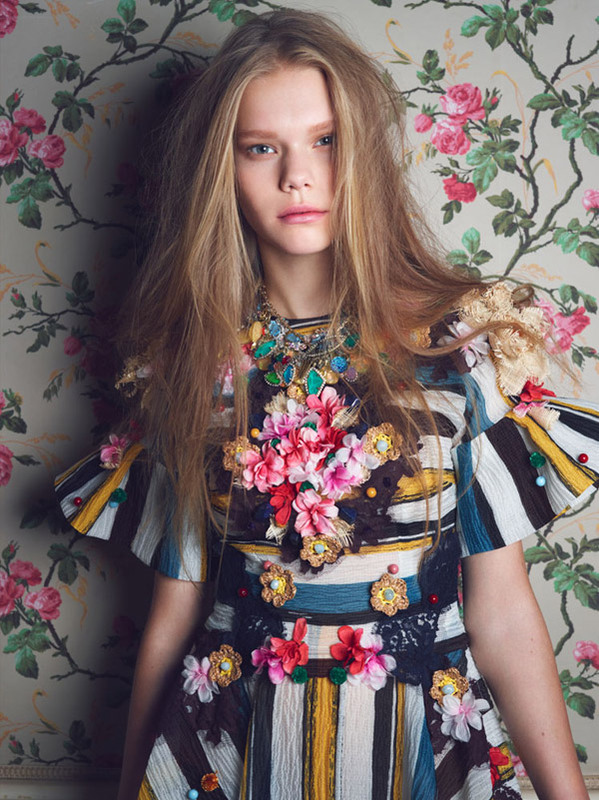 A blend of floral prints, elegant fabrics and clear wide cuts characterize this photo series by Horst Diekgerdes c/o Shotview for Harper's Bazaar UK. The new bugatti campaign was shot by Sam Bisso in the city of Valencia in Spain. You can really feel the touch of this very ancient and festive city along with its creative modern architecture, nightlife and amazing food and wine.